The first three legal cannabis stores in Ottawa opened Monday to a steady buzz of customers but no ’round-the-block lineups. They were among a handful opening across the province as Ontario continues its slow rollout of bricks-and-mortar stores. Only 10 of the 25 stores the province had promised for April 1 have been approved. So, for the time being, Ottawa is the cannabis store hot spot of Ontario. We have more stores than any city including Toronto, where only one opened. Ottawa store owners weren’t sure what to expect Monday morning, and whether the scene would mirror the celebratory feel and long lineups at stores in other provinces when Canada legalized recreational marijuana in October. They hired security guards for crowd control just in case. But there were only moderate lineups before the stores opened in Centretown, Wellington West Village and the ByWard Market. Cindy Pokey was first in a lineup of about 50 people when Hobo Recreational Cannabis Store on Bank Street opened its doors just after 10 a.m. The lineups that had formed through most of Hobo’s first day were gone by sundown, and the shop still had stock remaining for each of its roughly three dozen strains. “It’s really neat to see a retail environment like this, where you can get the help you need if you need it,” said Curry. Superette founder and president Drummond Munro said things ran smoothly all day, with between 500 and 800 customers buying their products, and none of their roughly 75 strains selling out. By dark, the lineup outside, which Munro estimated at between 30 and 50 people throughout the day, had dwindled to about a dozen and a half. Ottawa had about two dozen illegal marijuana dispensaries that closed after legalization. One of them, Cannabis Culture, was in the storefront now occupied by Hobo. Three former Cannabis Culture workers or volunteers were among those lining up to get into Hobo, eager to check out the decor, the prices and the quality of the weed. Shawn MacAleese, a cannabis activist who also faced drug trafficking charges for working at an illegal dispensary, said watching the doors open at the city’s first legal stores is bittersweet. “I’ve been arrested, fighting for this day … to see it legal,” he said. But like Morrison, he said he fears there won’t be room for the “little guys” in the new multibillion-dollar cannabis industry dominated by huge growers and retail chains. All three stores in Ottawa feature airy, modern, trendy decor designed to make customers feel comfortable shopping for the newly-legal drug. 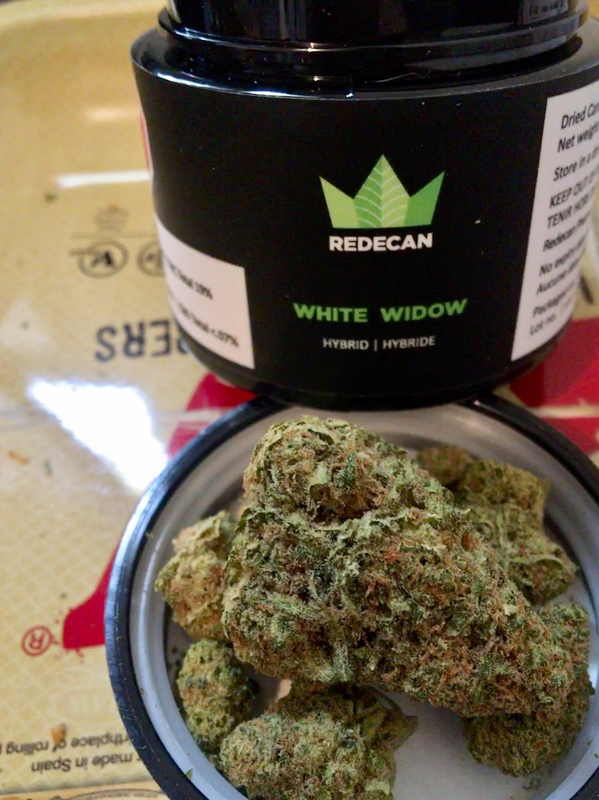 The stores aim to fight the stigma that still clings to cannabis. Many of the customers didn’t want to reveal their full names. Several customers said they were purchasing cannabis for medical reasons, including Marlene Wolinsky at Superette. “I looked at all the products I have and I wrote down exactly how much of the THC and the CBD is in the product.” THC is the chemical in cannabis with intoxicating effects, while CBD is another chemical that can be beneficial for inflammation and pain. Wolinsky said she lives in the neighbourhood so was thrilled to see the store open. The side window of Superette was broken on the weekend. 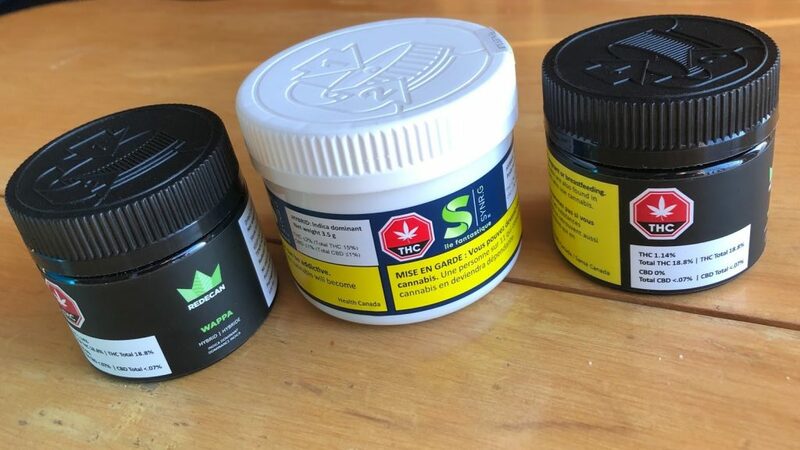 Munro refused to say whether there was a break-in, only that there was a “minor incident.” Store operators are dealing with the police, the Ontario Cannabis Store, which is the wholesaler, and the Alcohol and Gaming Commission of Ontario, which licenses cannabis stores, he said. Munro had no comment on whether any products were stolen. Police said they responded to an alarm in the 1300 block of Wellington Street West at 4:36 a.m. Sunday. Patrol officers arrived two minutes later and launched a break-and-enter investigation. No arrests had been made as of Monday. 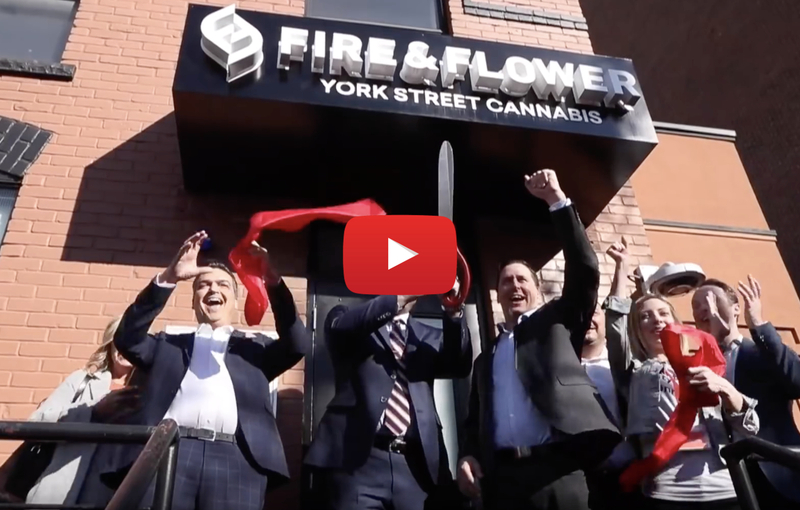 At Fire & Flower York Street Cannabis in the ByWard Market, customers arrived from both Ottawa and nearby Gatineau. “I’m a new user,” said Ashley Hradecky, “so it’s really helpful to have all of the educational stuff and guides in the store. According to Fire & Flower co-owner Michael Patterson, business was steady the entire day, and at no point did the lineup to get inside the York Street store completely disappear. “It went up and down all day, but there were always people waiting to get in,” he said. “We’re doing quite well with our stock,” he added. “We have sold out of one strain — Chocolate Fondue. It was very popular this morning. In addition to the three stores in Ottawa, the AGCO approved one store in Toronto, two in Kingston, and one each in St. Catharines, London, Brampton and Burlington. However, it was up to the owners to decide when to open those stores. A spokesperson for one of the Kingston stores, Brock Street Cannabis, said they didn’t expect to be ready to open the doors until April 5. 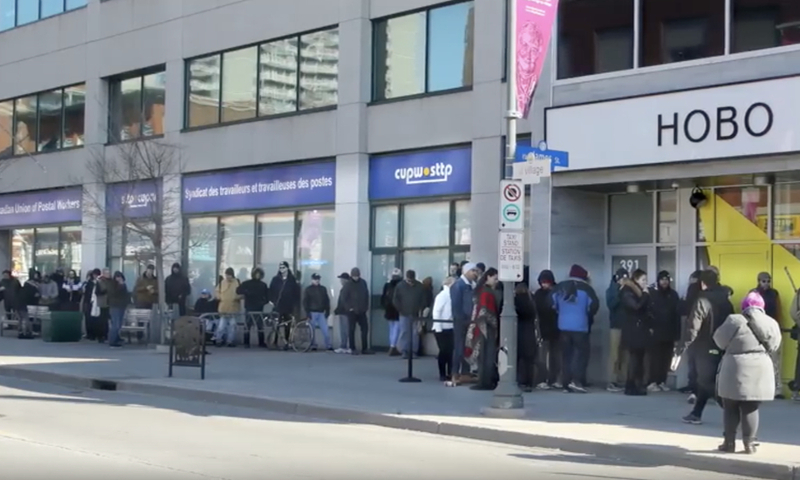 The lone Toronto store, Hunny Pot Cannabis Company on Queen Street West, had a lineup around the block on Monday morning. The arrival of bricks-and-mortar stores is expected to boost sales of cannabis in the province. Ontario residents can buy online at the Ontario Cannabis Store. However, may people prefer shopping in a store, where they can talk to a clerk and also have the option of paying in cash. Ontario is the last province to roll out brick-and-mortar stores. The stores were delayed when the new Conservative government changed course to allow them to be run by private operators rather than a branch of the LCBO. A lottery was held in January to decide who could apply for the coveted first wave of licences.